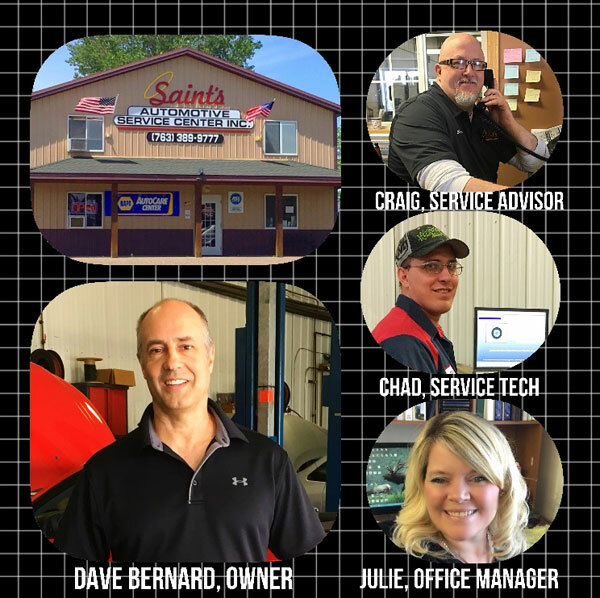 Saint's Automotive Service Center is a full-service preventive maintenance and auto repairs center in the Princeton, MN 55371 area, specializing in 4x4 Services, Alignment, American-Made Cars & Trucks, Brakes, Car & Truck Care, Electrical Services, Electronic Services, Engine & Transmission, Engine Maintenance, General Services, Heating and Cooling Services, Import Cars & Trucks, Miscellaneous Services, Tires, Towing, Transmission Services and Undercar Services since 1995. Our experts have the knowledge to service and repair even the most challenging auto problems on all makes and models of domestic and import vehicles. We use the latest technology to assess the situation and offer you alternatives. We guarantee all of our work and know you'll be happy with the outcome. Stop in or give us a call at 763-389-9777 to let us know how we can help you!